Business is like pedalling a bicycle, either you keep riding or you stop down. Now, to keep moving forward, you need to do much more, know more and act more with energy and smartness. Having an app idea in mind? Yes, who wouldn’t want to monetize an app idea considering its immense demand and scope in the digital market? But still not developed a mobile app solution. Certainly, the competition on the app development market is high and the choice isn’t easy if you want to develop a perfect mobile app, Obviously, not many app ideas are successful when given the app form. 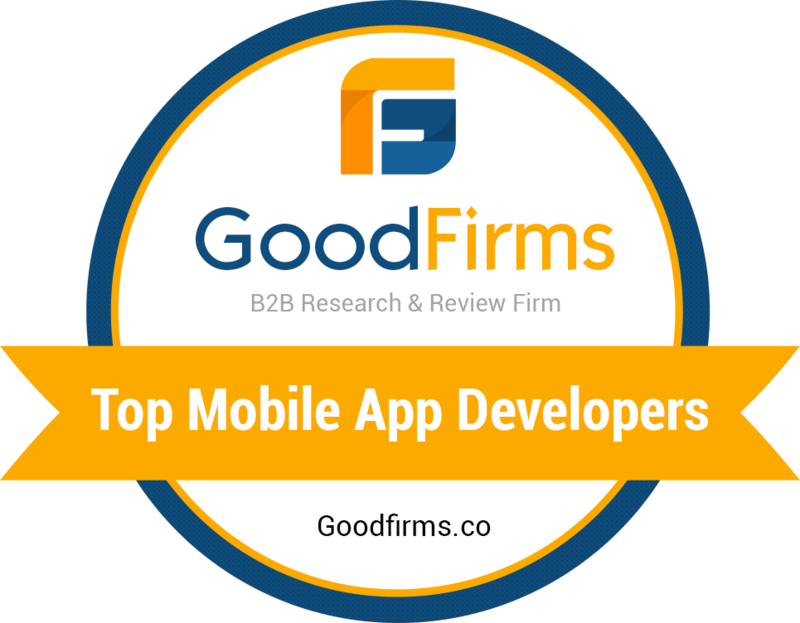 To avoid any pitfalls in the app, the best solution is to hire a good mobile app developer. you need to choose the perfect app developer with good experience, talent and proficient in the development field and who will achieve all your ideas better than the others. How to Hire a Mobile App Developer? Once you have collected all the stuff about your app, the next phase is to hire a mobile app developer or a team of pros. Let’s consider the below points to find your MASTER for the project. Experience is what means the most to undertake any task. As the development of an app is a bit complicated procedure and specialist without the required level of knowledge may not fit the criteria. To develop a faultless and convenient mobile application you should hire mobile application developers. Because an experienced developer would be more confident in his/her development skills with a healthy body of development languages, as they can able to adapt to the dynamic needs of your business. There are lots of multiple instruments, technologies and open source platforms for a mobile app development, that can be found easily. Ask whether the app developers for hire know about them and which libraries they prefer. Ask the developer for his past projects list before assigning the project. Have a glance on his projects and understand his proficiency in developing an app. From this, you can know how much extend he can fulfil your requirement. Every project has a fixed budget still, the low-cost option can become even more expensive over some time. Yes, of course, you can find a really a cheap app developer for hire, but will it bring you the desired results? I really doubt it. Never compromise quality to save a few bucks! Check if the development company you want to hire just test the apps on various devices, on different screen sizes and versions of the OS, and also confirm the compatibility with all devices. This reflects the actual attitude of a company to the quality of a product. Also, ask them to explain how they perform beta testing and how fast they can fix the bugs. The developers’ skills will be demonstrated by the project portfolio and also the work history will tell you the truth. For instance, check the portfolio what types of apps they created what mobile platforms they actually covered along with check the client’s feedback and the technologies they used. Pay attention to check not only the design and but also the value of the app so that you can figure out whether the company can fulfil your requirements or not. Do the rates charged by the developer fit your budget? Though it is necessary to keep a check on your budget to hire a developer but do not let the price part urge you at this stage. Hiring the best mobile app developer will come at a cost, but it must worth it. Consider it as an investment money which will fetch you good returns in your future. Ask the developer for suggestions to monetize the app before submitting the app to app store. Depending on the purpose of your app creation, the developer should be able to suggest you active ways for making money through your mobile app project. Though you have an idea in mind and a set of requirements for the app, an expert help guides you to analyze whether this idea will be successful. The developer should be in a state to show interest in your project by giving useful inputs from his side. The must thing to remember, business strategy should include such things as marketing purpose, niche of the app, target audience and the functionality to attract this audience. To focus a large group of audience, you wish to release the app on all major platforms such as Windows, iOS and Android. Check the developer you hired can develop the apps for multiple platforms which mean to Hire Cross-Platform app Developer or Hire Dedicated Hybrid App Developer for your project. The developer work will not end just by developing the app, the developer should be in a stage to support and maintain the app even after the app is deployed. Cross check with the developer whether he is ready to work on releasing updates and fixing the bugs after the launch of the app. From the above topic Tips to Hire the Perfect Mobile App Developer will help you to get the best mobile app developer for your project here are something more know before hiring the developer i.e, the mobile app development company must ask some questions to the developer. Surely there will be a bulk of queries to ask your potential developer from that we have collected the most important question to ask and the image below will convey the information you need to hire a potential developer. To conclude, Mobile App developers for hire are available with leading app development companies. We’d like to say that the team of professionals always knows about the latest trends and technologies and would be very glad to apply this knowledge in your project. Never be hurry. Focus on your business requirements and don’t compromise on the quality of your product. Hope this article will help you find and hire mobile application developers. If you think that is us, contact us and let’s start our fruitful work!